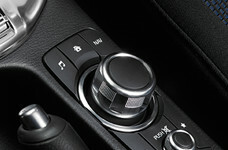 Many functions can be easily operated using voice commands, commander knob or touch screen. When the vehicle is in motion, all touch screen functions are disabled for safety reasons. However, the commander knob and voice recognition remain fully functional. Some features require data usage; check your plan to see if additional fees will be incurred. 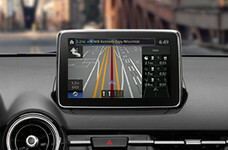 Aha™ Radio—Use your phone to easily access and organize your favorite content from the web into personalized, live, on-demand stations, then sync the experience to your car with your paired smartphone with Bluetooth® connection. Disclaimer: Aha™ Radio is a trademark of Harman International Industries Inc. Apps/services vary by phone carrier and are subject to change. Data charges may apply. 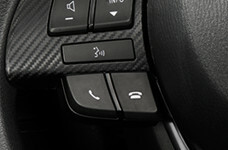 Pandora® is free, personalized Internet radio that can be accessed via your paired smartphone through Bluetooth® connection. Stitcher™ Radio is an application that gives you access to thousands of radio shows and podcasts streamed directly to your device without downloading or syncing. 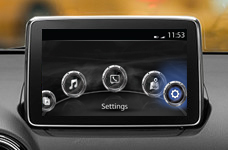 Bluetooth® Audio—Access audio content on your smartphone or portable audio player in your vehicle via Bluetooth®. Disclaimer: The Bluetooth® word mark and logos are registered trademarks owned by Bluetooth SIG, Inc. and any useany of the suggestions of such marks by Scion is under license. A compatible Bluetooth enabled phone must first be paired. Phone performance depends on software, coverage and carrier.